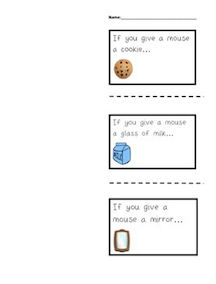 Cause and Effect Mini-books for "If You Give a Mouse a Cookie" and "If You Give a Pig a Pancake"
Also available in Spanish on my TPT site! These mini-books can be printed with the opposite side blank to that students cut along the dotted line and fold the page in half lengthwise. When they open each flap, they can draw the effect. 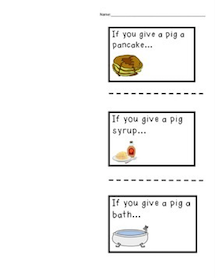 For higher level students, these books can be printed with handwriting lines on the opposite side (provided with the product) so that students can write a sentence or phrase to describe the effect.